The µCom series is a new range of Ethernet connectors designed to meet the requirements of the latest military industry trends: miniaturization, high-speeds, and robustness for use in harsh environments. The TVµCom-10Gb+ combines the 10 Gb/s Ethernet speed of the classic µCom-10Gb+ with the ruggedness of the 38999 Series III shell. 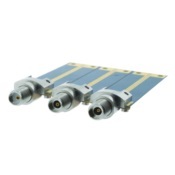 Available in multiple QPLs – M24308/1, /2, /3, /4, /5, /6, /7, /8, /23 & /24 - Amphenol D-Sub connectors come in 5 standard shell sizes (9, 15, 25, 37, & 50) and have pin counts ranging from 9 to 104. There are various termination options – solder, crimp, and PC Tail – and magnetic and non-magnetic options as well. 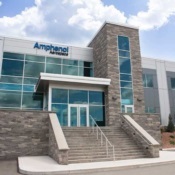 Empire State Development (ESD) today announced that Amphenol Aerospace, one of the world's largest manufacturers of interconnect products for the military, commercial aerospace, and industrial markets, will construct a 5-megawatt solar farm on its industrial campus in the Town of Sidney, Delaware County. 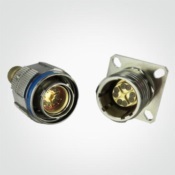 SV Microwave’s high-speed RF/coaxial solderless edge launch connectors are ideal for high frequency printed circuit board applications where precision is key. 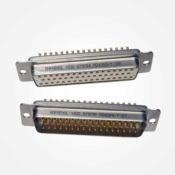 These rugged and durable interconnects are adjustable to accommodate multiple PCB thicknesses and do not cause damage to the printed circuit board. 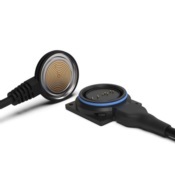 Current interface configurations include our high-frequency SMA, 2.92mm, 2.4mm, and 1.85mm series.